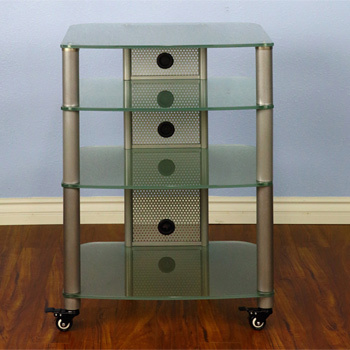 VTI HGR404SF - 4 Shelf Audio Rack in Gray Silver frame and Frosted Glass. 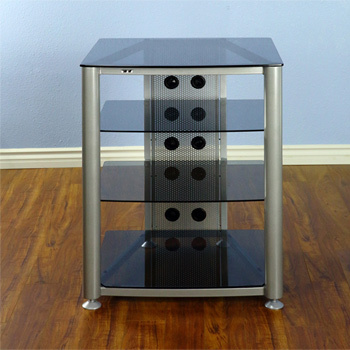 VTI HGR404SB - 4 Shelf Audio Rack in Gray Silver frame and Tinted Black Glass. 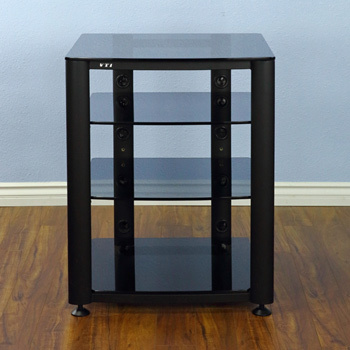 VTI HGR404BB - 4 Shelf Audio Rack in Black frame and Tinted Black Glass. 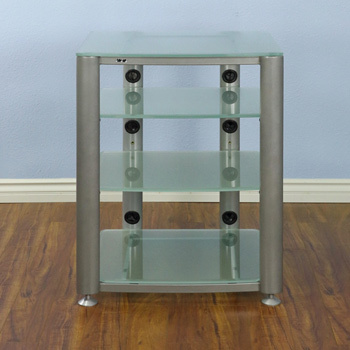 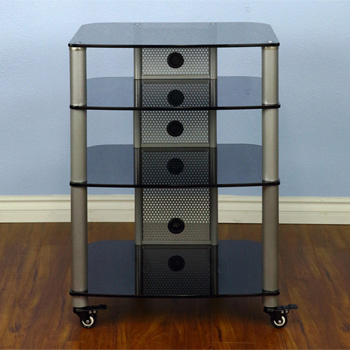 VTI NGR405SW - 5 Shelf Audio Rack with Gray Silver Poles and Clear Glass. 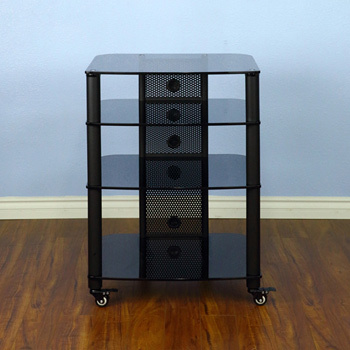 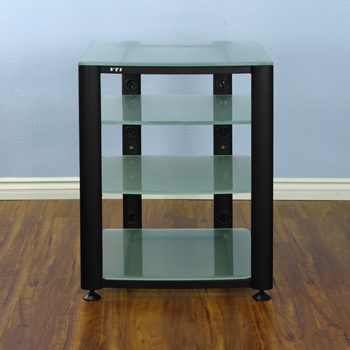 VTI NGR405BW - 5 Shelf Audio Rack with Black Poles and Clear Glass. 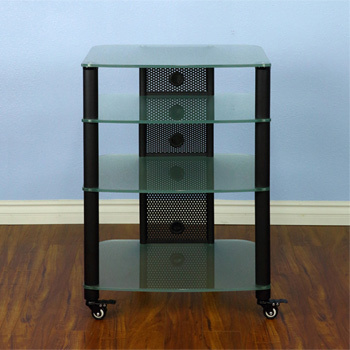 VTI BL 404-13 - 4 Shelf Audio Rack TV Stand up to 27" TVs in Black, Cherry or Oak color. 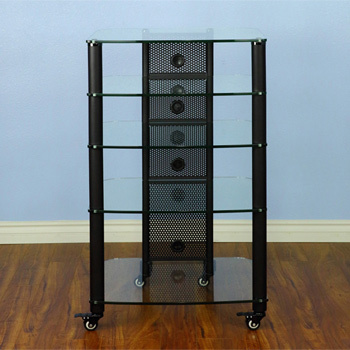 VTI NGR404BF - 4 Shelf Audio Rack with Black Poles and Frosted Glass. 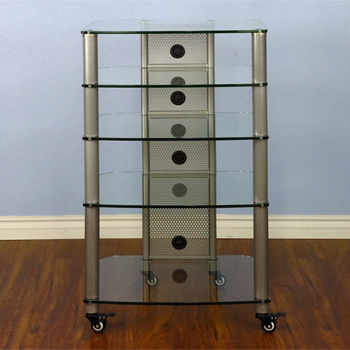 VTI NGR404SF - 4 Shelf Audio Rack with Gray Silver Poles and Frosted Glass. 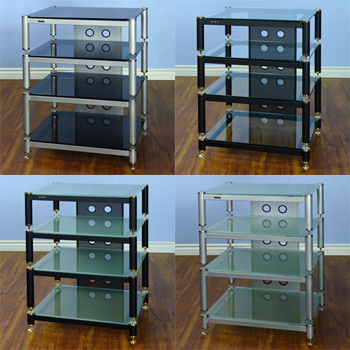 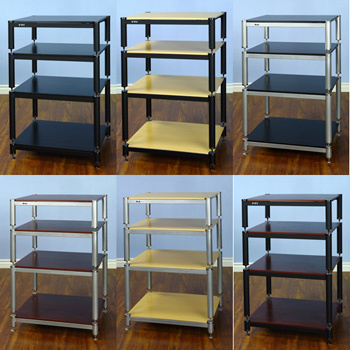 VTI NGR404SB - 4 Shelf Audio Rack with Gray Silver Poles and Black Glass. 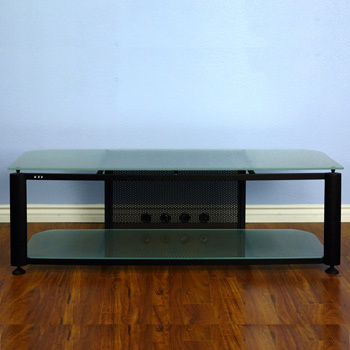 VTI HGR60BF Series TV Stand up to 65" TVs with Black Frame and Frosted glass. 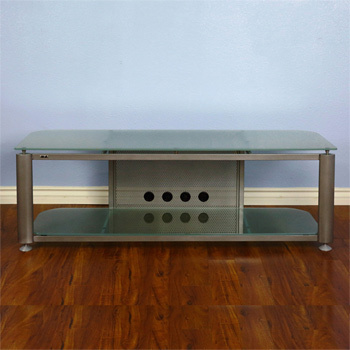 VTI HGR60SF Series TV Stand up to 65" TVs in Gray Silver Frame and Frosted glass. 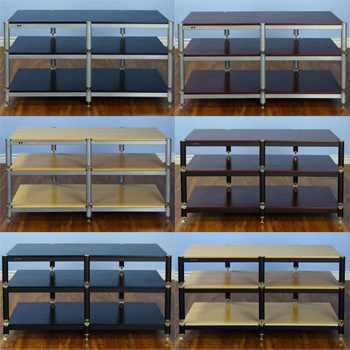 VTI BL 503 - 3 Shelf TV Stand up to 50" TVs in Black, Cherry or Oak color. 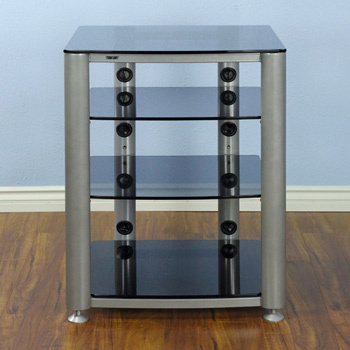 VTI RGR404SB - 4 Shelf Audio Rack with Gray Silver frame and Black Glass.